Emerging models Anais Mali and Melodie Monrose are proving that there is room for more than one top black model at any given time, within the highest echelons of the modelling world. Both models have made significant headway since their impressive debuts at the Spring/Summer 2011 shows in September. Mali appeared in 22 shows, whilst Monrose logged a staggering 49 shows. The exotic beauties are both French, with Mali hailing from Toulon, and Monrose from the French Caribbean island of Martinique. Mali's feline like features and impossibly high cheekbones are a product of her African and Polish heritage. Mali was scouted on the streets of Paris at the age of sixteen and has recently moved to New York where she is represented by Ford Models. Monrose was introduced to an agent by a friend, and was signed swiftly by Wilhelmina Models before being whisked off to New York for the SS11 shows. 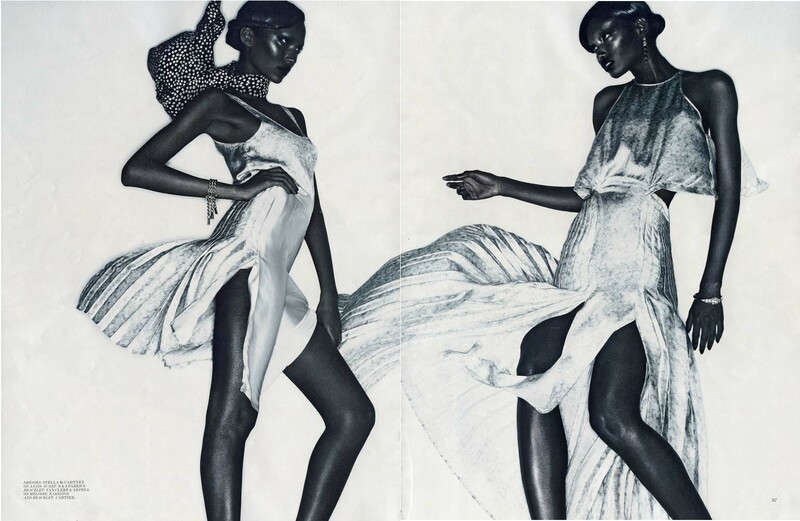 Mali and Monrose were photographed by Solve Sundsbo for an editorial in Interview's December 2010 issue. The editorial entitled "Double Vision" captures Mali and Monrose entangled in a series of electrifying and sensual poses. Both models compliment and play off each other to best effect. 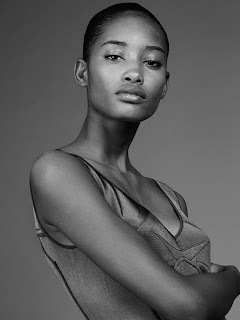 Mali has since been photographed by Steven Meisel for Vogue Italia, and Mario Testino for US Vogue. Monrose's luminous beauty has been captured by the likes of Hugh Lippe for Dazed & Confused, Danielle Duella and Iango Henzi for V Magazine, and Emma Summerton for Vogue Italia. I am so excited at the modelling prospects which await these two newcomers. Both models possess an innate love of fashion and exude an air of elegance and sophistication. I adore Monrose's melancholic eyes, which light up in an instant when she flashes her exuberant smile. Mali's look may be exotic but she is a versatile beauty with a runway swagger to rival the most seasoned veterans.